Is there a better alternative to Cake Mania 2? Is Cake Mania 2 really the best app in Arcade category? Will Cake Mania 2 work good on macOS 10.13.4? Cake Mania 2...After re-opening the Evans Bakery, and sending her grandparents on an exotic Hawaiian cruise, Jill is back in an all-new, out-of-this-world adventure! 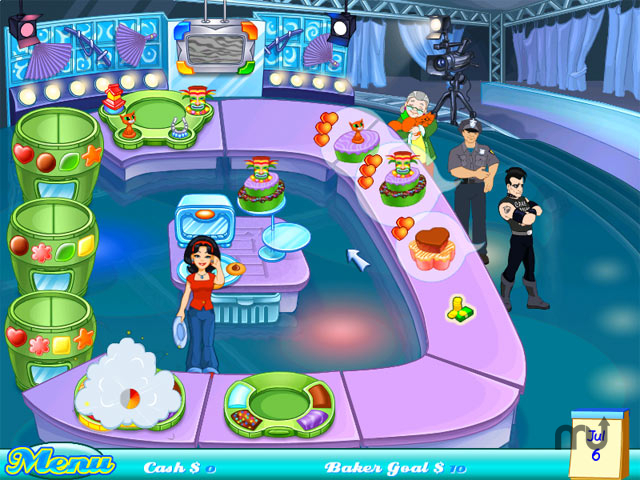 Explore far-flung bakery locations; serve up deliciously original creations to quirky customers, ranging from Federal Agents to mysterious Aliens, and choose the path Jill will take in Cake Mania 2! Cake Mania 2 needs a review. Be the first to review this app and get the discussion started! Cake Mania 2 needs a rating. Be the first to rate this app and get the discussion started!